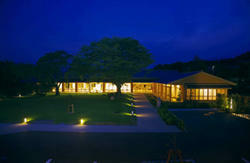 We are located next to Daitoku-Ji Temple, a Zen temple famous for its gardens. Also, we are quite near to The Golden Pavillion (Kinkaku-Ji). 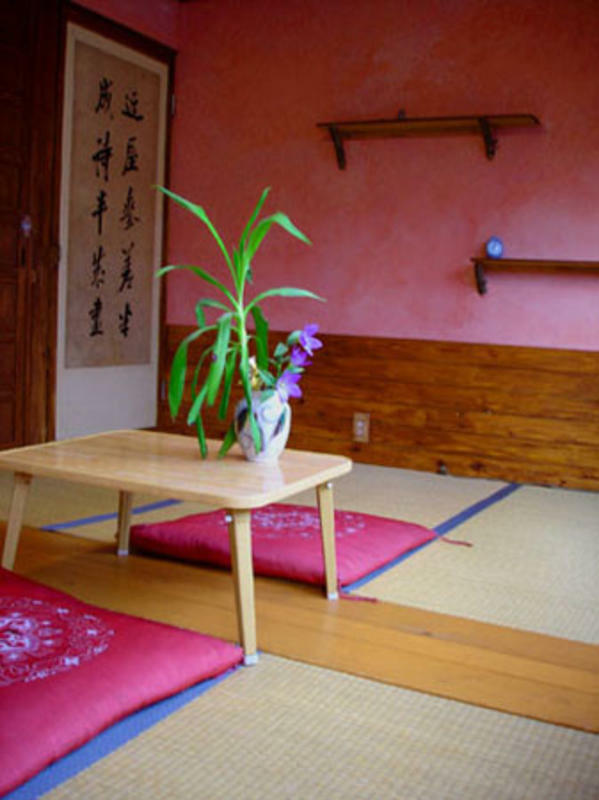 If you are looking for a traditional Kyoto atmosphere in a quiet area, then Bon Guest House is perfect for your stay! We have Single, Double and Triple Futonrooms. *Some of our Private rooms can be made into a dormitory when required. We welcome you with a warm heart. Free wireless access with your own PC. *Payment is acceptable only by cash. *Check-in time 15 pm to 22pm. *No lock out time, No curfew. *Daitoku-ji Zen temple - 1min walk. A big temple with a rich history with several beautiful Zen gardens. *Imamiya Shrine - 5min walk. A picturesque Shinto shrine in the atmosphere of ancient Kyoto . 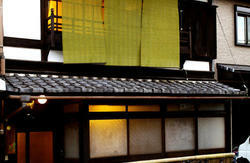 *The longest shopping street in Kyoto - 30sec. walk. There is a nice public bath within 1min. walking distance. *99yen discount food and household goods shop. * 7min. walk to the Bus stop. 17min. to the Subway station. 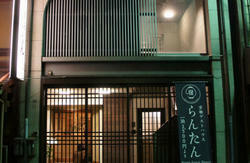 Our place is located in 'North-West' part of Kyoto. Although 'bon' is little far from the Kyoto station, night-life area and downtown, the location is convenient for visiting some great sight -seeing places. If you come to our place by city bus and go for sight seeing afterward, we recommend you to buy a one day bus pass ticket for 500yen ,You can buy it on the bus or tourist information at Kyoto station they (Tourist information) have a bus map also city map as well. Each ride of the city bus is 220yen/ride. By bus ,Catch the bus 205,206,101 to 'Daitokuji-Mae'bus stop. You will find 'Bon' on your left side(North side). The 3rd buildings from the corner. By city-bus No.9 from JR Kyoto station to 'Higashitakanawa-chou' bus stop . then convenience store (Dayly Yamazaki) make to right(west) 500m. You will pass shopping street then the street will be daed end the Bon Guesthouse will be before the daed end on the righthand the 3rd buildings before it. Exit at the 'Kita-deguchi'(northern exit). Walk west on 'Imamiya-Dori'street for 1km. turn left on 'Omiya-Dori' where the many shops are. (southern direction). Walk for 50m(I black) along shopping street and turn right(western direction). You will pass the beer shop on the leftside then Bon Guesthouse will be on the righthand side about 100m down.